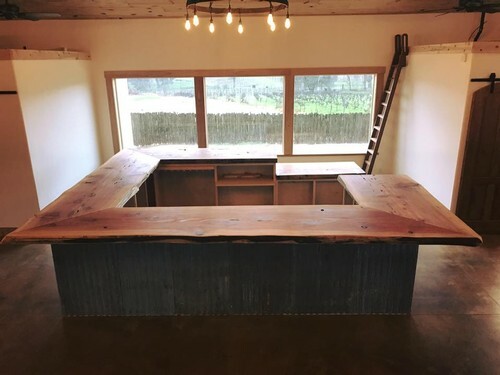 Our Tasting Bar is made of fresh cut cedar from the mountains about 60 miles from our tasting room. Paul then sanded and oiled the wood for days to deliver this beautiful, and final product. We couldn't be more excited - come visit us to take a look at this beauty yourselves! Groups of 7 or more by Appointment only. Please give us a call for group information and to set up a visit!